During the holiday season Jefferson has so many things to do it’s hard to pick just one or two events to schedule a trip for. I’ve listed all the events here to make your planning easier. If you need lodging during your weekend getaway at our bed and breakfast we may still have some rooms left, call us to guarantee you reservations soon 903-665-8185. Thanksgiving weekend marks the start of the season. On Friday November 23 the magical KCS Christmas Train is making a stop in Jefferson, it will be parked on the tracks just east of Walnut St between Polk and Lafayette Streets. It will be there from 4PM until 7PM. Then make your way up to the Lion’s Club Park on Line St. and E. Jefferson St for the annual Christmas Tree lighting ceremony which begins at 7:30PM. The Rail of Lights Christmas Train begins on Thanksgiving evening at 6PM and runs thru the season. Bring your camera and get your picture taken with Santa and Mrs. Claus don’t forget the kids. Visit their site for more scheduled trips. The following two weekends brings the most anticipated of events for the whole year. 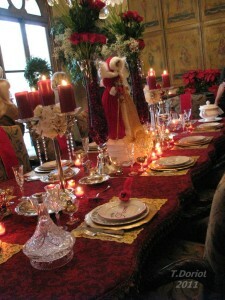 The 30th Annual Christmas Candlelight Tour of Homes. 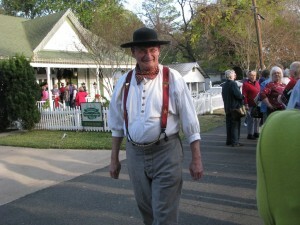 The tour homes open for visitors Thursday Nov. 29th at 3PM and continuing Friday and Saturday at 5PM. The second weekend begins on Thursday Dec. 6th. Order your tickets on line or call us and we can pick them up for you. 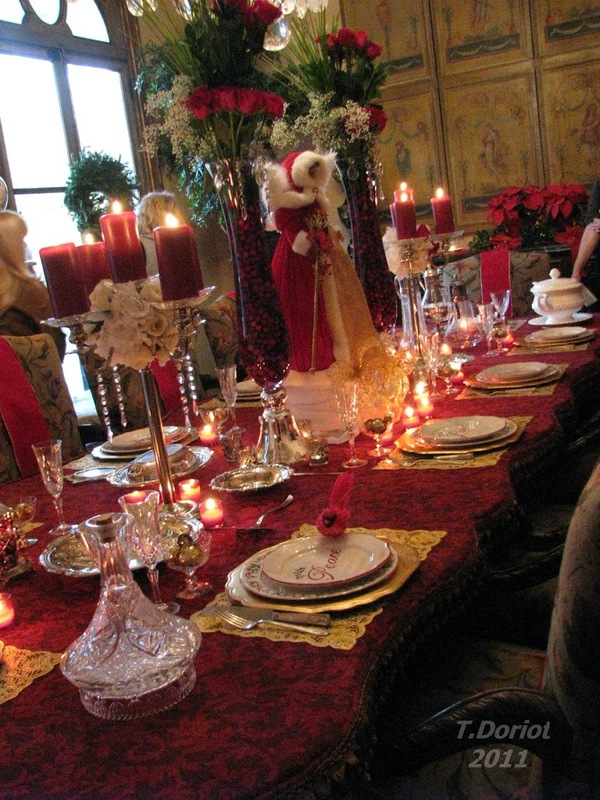 If you are planning a bus tour for the Candlelight Tour of Homes and would like to have a step-on guide to lead your group please contact Mary Nash at 214-478-3152. Reservations for a step-on guide must be made in advance of the tour. This year the First United Methodist Church of Jefferson will be serving their famous Chicken Spaghetti Dinners during the Candlelight Tour of Homes. Chicken Spaghetti or Beef Stew dinners include homemade garlic bread, salad, dessert and drink. Serving from 4:30-7:30pm on November 30, and December 1,7,8. The cost is $8.00 for adults and $4.00 for children under 12. Just dessert and a drink will be available for $4.00. For more information contact the church at 903-665-3268. A Cowboy Christmas Ole Time Radio Hour hosted by James Duncan of KMHT Radio staring The Texas Tumbleweed also featuring the Bear Creek Boys; Larry Watson & J.E. Watson with a special appearance by Teonna Hall. This one time performance is December 7th at 7PM at the Jefferson Visitors Center. On December 8th at the Jefferson Visitors Center is “Stuff Your Stocking” from 9 AM – 3 PM. Come down to visit the vendors who have Christmas Gifts ready to purchase and bring the kids to visit with Santa. This year’s holiday play is “John his story” performed by the Sanctuary Players on December 13 & 14 at 7:30PM and December 15 & 16 at 2PM. The tickets are $20 per person and include a meal served by the church members; the meal is served at 6PM and 12:30PM respectively before the performances. The play is going to be at the First United Methodist Church at 305 W. Henderson St.
“Jefferson’s Old Fashioned Christmas Parade” is schedule for Saturday December 15th, weather permitting. This fun eclectic parade through downtown is a very hometown show. New this year is a Steampunk Christmas Ball on December 15th at 9PM at the Jefferson Visitors Center downtown. Get dressed in your finest outfits and have a bit of fun dancing to the music of Darwin Prophet & the Chronus Mirror. Tickets on sale now. The Knightlight Theater has the Elvis Tribute artist Josh Davis performing on December 15th at 8PM visit their site to get your advance tickets today. On Sunday December 16th travel the short drive to Uncertain for their Floating Christmas Parade on the waters of Caddo Lake.